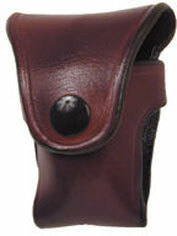 H715-M.S.O.-INSIDE PANTS HOLSTER [H715-M.S.O. O.T.] - $50.60 : Don Hume Leathergoods, Simply the Best! 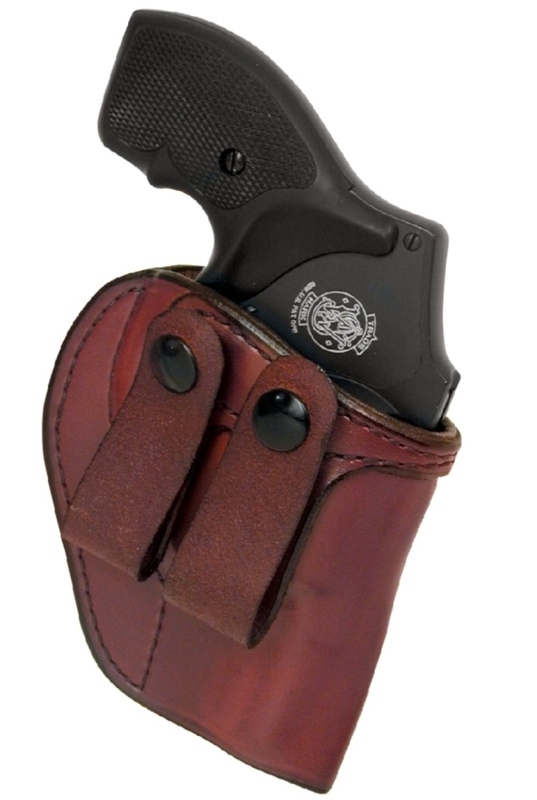 I ordered this holster for my taurus snubby. The gun feels very secure. The gun rides a little higher than what I am used to which is not a bad thing, I can raise both hands up high and my gun grip is not visible. The snaps can be kind of a pain. For the price, well worth it. I have carried an Springfield XD-9 in this holster for two years and have no complaints. Just make sure you have an undershirt between you and the gun because the gun will rub on you. The holster on the other hand is very comfortable. Like everyone else, I have a box of holsters. This is the one I always use. I usually carry a Glock 19, Glock 26, or S&W 3913 appendix position and love the H715. It is stiff enough to grip the gun and securely cover the trigger, but is not overly thick and bulky. Great value for what it costs. I also have the H715 with the steel clip. I like it also, but the snap on model keeps the holster a little more stable though it is not quite as quickly taken on and off. Another difference between the two is that the clip on model has a little bit of "squeak" if I bend forward.